The grant was of 250 GOLD during 8 weeks but since last 2 weeks it was reduced to 170 GOLD. This week it represents 16,9 % of the budget. Last week, the MU members earned a total of 124 MEKHabs. These MEKHabs should be exchanged by houses or donated to other MEK members. To use or transfer MEKHabs send a PM to rapaz_avr and the other MEK member. 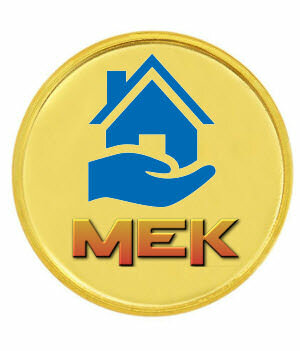 The unused MEKHabs will be keeped for the next week and you may accumulate it until you have the number to exchange for the house quality you need. 500 kills, 2000 kills, 4000 kills, 6000 kills, 10000 kills and 15000 Kills. (both land and air). It will be also possible to exchange work points for MEKHabs. Special offer - pack of the 4 houses for 23 MEKHabs. Plato foundation sponsor the program this week with 16,9% of the total costs. Quero essa nota... bem preciso dela... se for verde, amarela ou cor de rosa melhor! MEK is in the air! Já à algum tempo que não consigo mais um pá!!!! é só mais um danoninho!